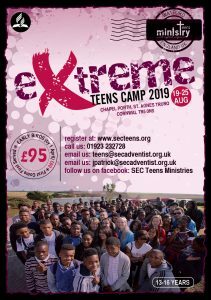 Extreme Teens Camp is going to be as blessed and exciting as ever before. Where can you go canoeing, paint-balling, biking and power-kiting all in one week? The only answer is: Extreme Teens Camp, in Cornwall. Teens Camp will run from Monday 19th – Sunday 25th August and the price is £95, which includes all meals, all activities and transport. Teens’ camp has been a life changing experience for many teenagers from around the conference and Europe, this year is your chance to come and experience why. Have a look at our photo gallery to get a taste of the activities on offer. Please fill out the form below to register your interest, and make your payment to confirm your place. Unfortunately because of space limitation we are not able to accept all applications so PAY NOW to avoid disappointment! You will receive your payment receipt directly from PayPal, and a booking confirmation from the SEC Teens’ department should follow within five working days. 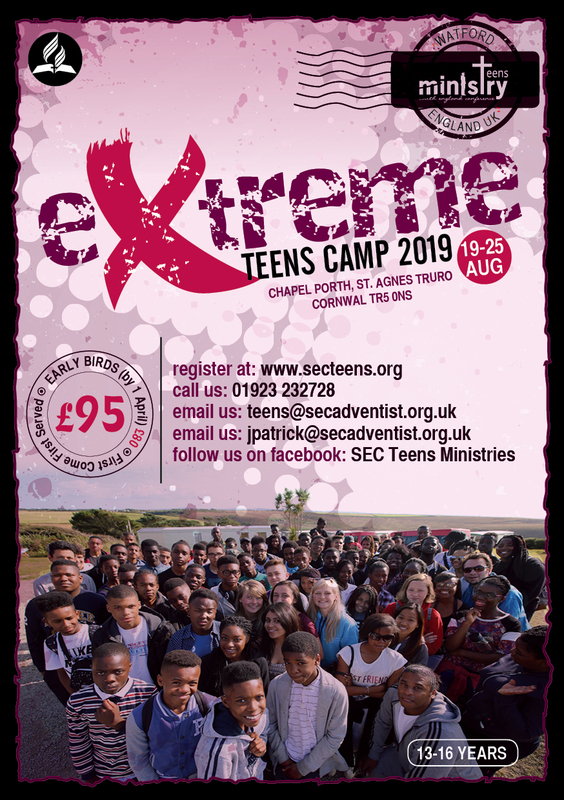 If you haven’t heard from us after one week, please call or email (teens@secadventist.org.uk) — there is no need to send your PayPal receipt unless we specifically ask for it.